Learn from Plutora's experts, as they explain the business benefits and administrative ease of a centralized test environment management console. Gaining visibility of the availability and demand of your managed test environments. Managing the configuration of your test environments and controlling environment changes. Conducting a what-if analysis for managing environment contention. Improving collaboration to support DevOps initiatives. 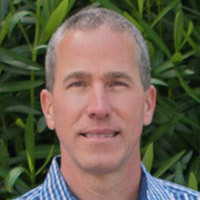 Michael Yeager is responsible for sales and strategic account management at Plutora. Prior to joining Plutora, Michael was SVP of WW Sales at QualiSystems, a leading provider of Cloud Sandboxes for automating the DevOps lifecycle. Michael has over 25 years of experience in sales management, marketing and operations in the technology industry, working with a variety of startups and established companies.